Guinness World Record Day today. Only natural that Maldives Complete ‘Best of the Maldives’ collection of distinctions would rank not just among the best in the country, but across the world as well. 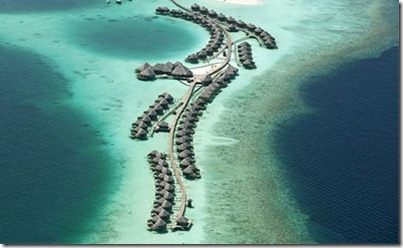 One such example appears to be Constance Halaveli’s water villa jetty. They have the longest jetty in the Maldives at 850 metres. Two-thirds of the Maldives resort islands themselves aren’t even that long. 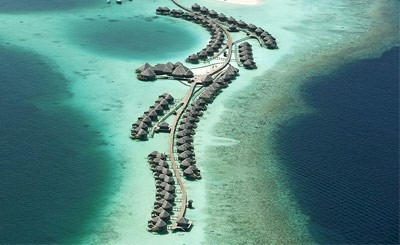 And with the Maldives leading the way in the world with water villas (due to its unique shallow reef/island topology), some research indicates that it appears to be the longest in the world. Back here in blighty, we have to console ourselves with celebrating distinctions like ‘Fastest bog snorkelling triathlon’ (see below – slide 36). 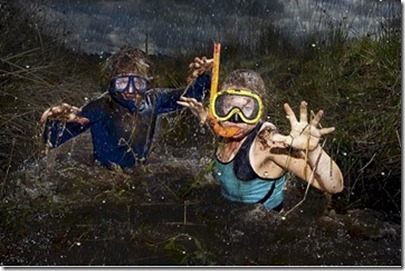 With the current UK weather, it might become the new national pastime. If Maldives is the ‘Best Snorkeling in the World’, then the UK has probably achieved the distinction of hosting the ‘Worst Snorkeling in the World’.